Let’s take a two-hour break from “the summer of sameness.” Let’s forget about reptilian behemoths, arachnid-bitten web-slingers, and razor-clawed time-travelers making the world safe for computer effects. Let’s spend time with people we care about, a story that touches our hearts, performances that stick in our heads. Let’s all have a good intelligent cry. This is a slice of young lives and young love told with a sense of affection and a huge dose of honesty. It’s about young adults, but it’s for anyone who loves a good movie because it gets its tears the old fashioned way: it earns them. Hazel Grace (Woodley) is a seventeen year old with stage 4 thyroid cancer; her constant companion is an oxygen tank. 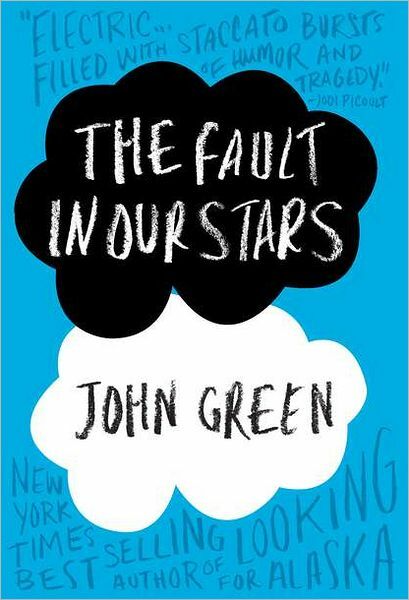 Gus (Elgort) is an eighteen year old with a prosthetic leg, lost to cancer some time before. Dialog is filled with wisdom; small touches make the story and its characters more believable. It’s smartly paced with snippets of suffering, with the joys and sorrows of ordinary days, and with the waiting and watching and wondering that are normal parts of teenage lives and years. Shailene Woodley is sensational; Ansel Elgort is terrific. Josh Boone, the director, is 35 years old; he brings a young sensibility to the story-telling and a cohesive vision to his cast. In the end, you’ll cry because, in Gus’s words, “the world is not a wish-giving factory.” And yet, the tears will leave you refreshed. This is movie you’ll remember not just as a reminder of life’s unfairness, but as a celebration of life’s joy — as shared by two people who found each other along the way.